Whether you’re craving a fancy French pastry, picking up a cake for a special occasion or just want to pick up some fresh-baked cookies, Patrick’s Bakery & Café has got you covered! Be everyone’s favorite party guest and pick up a dozen mini cookies or go for the full-size specialty cookies with flavors like butter, honey nut peanut butter, traditional French Meringue, Almond with Chocolate Ganache or the classic chocolate chip. Of course, no French bakery would be complete without croissants, Napoleons and eclairs. 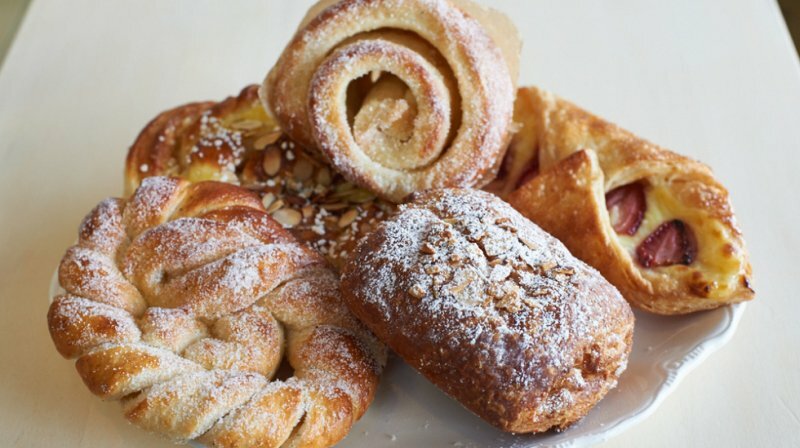 In addition to classic and chocolate croissants, Patrick’s bakes up a wide variety of Danishes with unforgettable flavors like Raspberry Lemon, Apple Cinnamon, Blueberry Almond, Pear Almond. All the Danishes are available in mini sizes by the dozen too. When it comes to cakes and tarts, the sky is the limit! From the Feullantine Praline Chocolate Cake to Patrick’s Cheesecake and fruit tart to tiramisu, there’s really no way you’ll leave Patrick’s unsatisfied! More Dough: For a refreshing sip with your treats, try one of Patrick’s Favorite Diablo Flavored French Lemonade in flavors like cherry, pomegranate, blueberry, strawberry, blood orange, blackberry and more. A great cup of flavorful Vietnamese coffee and scrumptious pastry is a recipe for a successful morning! Mi-Sant Banh Mi combines Vietnamese delicacies and French pastries. 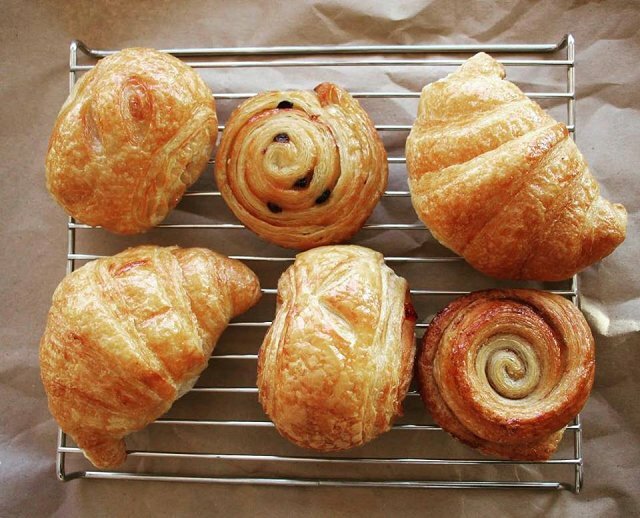 You can’t go wrong with its wide selection of croissants and baguettes. Enjoy endless flavors in croissants including almond, apple, chocolate, coconut, Nutella, strawberry cream cheese, and more! For a savory pastry, pick up a baguette or a mini butter baguette. And pick up some almond cookies or chocolate chip cookies. Donut ‘Cha Know? In addition to its delectable pastries, enjoy savory banh mi sandwiches, egg rolls and noodle bowls. Call ahead or order online and pick it up at their drive through window. There’s only one place in Minneapolis Northwest where you can experience the mythological treat known as Unicorn Poop! 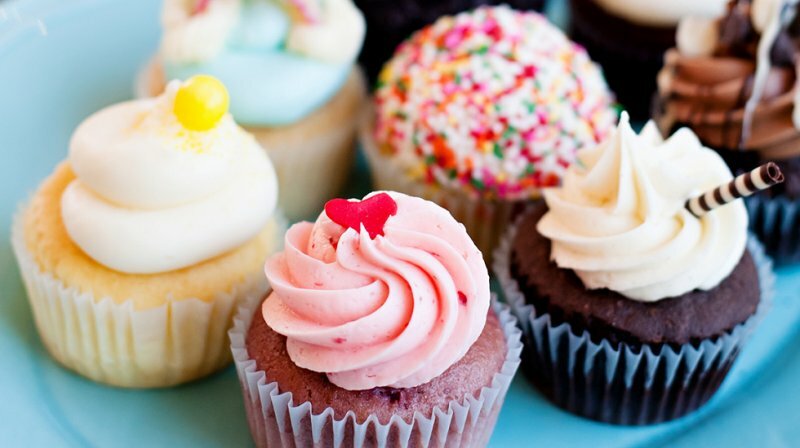 Every year around April Fools' Day, you can try this special treat and several other wacky-themed concoctions, but the Cupcake Wars award-winning shop serves up amazing and unconventional cupcakes, cookies, bars and cakes year-round. Nadia Cakes features new flavors each day, along with classic favorites such as Lemon Drop, Salted Caramel, Triple Chocolate and Peanut Butter Cup. Also available are its award-winning Cheesecake Cupcake, gluten-free cupcakes, and doggy cupcakes for your pup. The shop even has Keto cupcakes! Doughn’t Miss! There’s always something going on at Nadia Cakes! Follow Nadia Cakes on social media to see the daily flavors, cake decorating classes, special events like the $2 cupcake sale and more! Nothing beats a tasty breakfast at a cozy neighborhood diner! The moment you step inside Lily’s Café you will be enticed by the overwhelmingly delicious smell of fresh baked cinnamon and caramel rolls. In addition to its full menu of hearty breakfast and lunch items, Lily’s also serves delicious treats like cookies and a refreshingly fruity and healthy yogurt parfait. Whether you’re craving donuts or ice cream, you’ll find plenty of options to indulge yourself at Café Donuts. 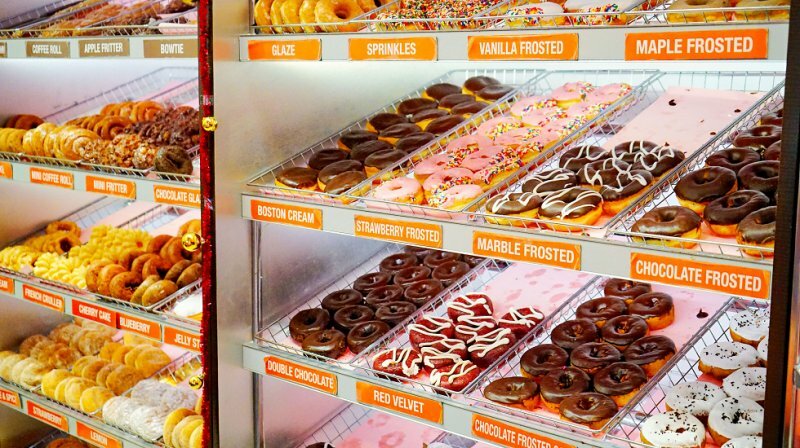 Grab a coffee and choose from one of its more than 32 varieties of fresh baked donuts, including cake/raised donuts, fancy donuts and donut holes; or enjoy one of its croissants, bagels or muffins. If that’s not enough, dive into more than a dozen supreme, hand-scooped ice cream flavors from chocolate chip cookie dough to strawberry cheesecake; or slurp down a shake, malt or smoothie. The shop also creates custom ice cream cakes! Bonus Tip: More in the mood for something savory? Choose any bagel or croissant and build a breakfast sandwich with egg and cheese, or egg and cheese with bacon or sausage. Who says a donut can’t be eaten family-style?! Take one look at the as-big-as-your-head Texas Donuts at Hans' Bakery in Anoka and you’ll see that one donut can feed a whole family! This classic donut shop which opened in 1973 is famous for these iconic donuts, in addition to its signature treat, the German Beehive – a yeast-raised cake baked and split and filled with pastry and whipped-cream mixture. And, of course, they sell “regular-sized” donuts too, along with a variety of cookies, cakes, bars and other pastries. 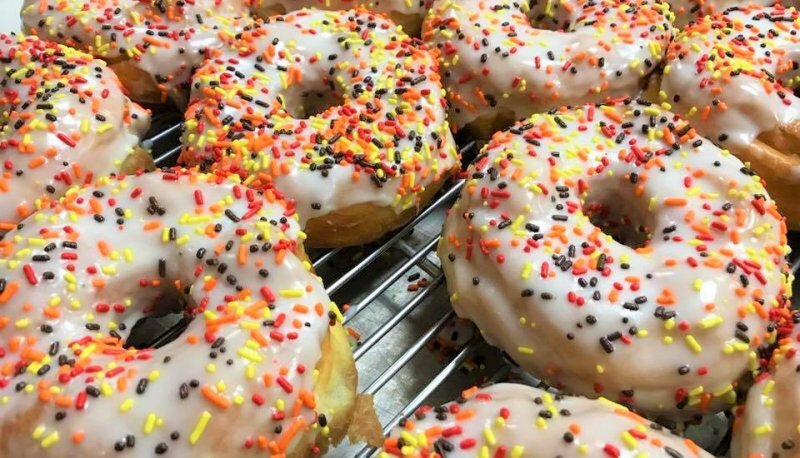 More Dough: Anoka is known as the Halloween Capital of the World, so catch some of the festivities, like the Light Up the Night Parade and the Ghosts of Anoka Walking Tour, and stop by Hans' Bakery in October to see a variety of fun, spooky treats! To embrace the hygge trend and experience the treats of Swedish culture, check out Swedish Crown Bakery. This family run and owned bakery, offers a unique variety of authentic Scandinavian and European breads, pastries, cookies and desserts. Some of its specialties include pastries made from sweet cardamom bread, delicate cakes and cookies, turnovers, Danishes and much more. Swedish Crown’s truly unique treats are the sweet breads, including Stockholm, a soft cardamom bun filled with lemon curd and vanilla custard; Orange Twist, made with fresh orange zest and vanilla custard; and Almond Delight, a twist with almond butter and raspberry jam. Completely immerse yourself in Swedish heritage and try the Budapest Roll, a Swedish specialty made with hazelnut meringue, filled with organic whipped cream, Mandarin wedges and raspberries; or the Beehive Tosca, a Swedish version of a German classic made with a puff pastry baked with crispy honey almond and filled with Bavarian cream. Did we mention cookies?! The Coffee Cookie is a must for any coffee-lover. The Oat & Cardamom Cookie is a crispy cookie packed with caramel flavor and a hint of cardamom. We suggest our personal favorite, Swedish Crown’s homemade Twix Bar! Donut ‘Cha Know? Swedish Crown also offers many gluten-free and vegan options, including many of the specialties mentioned. The bakery serves lunch with a full menu of soups, salads and sandwiches, along with healthy fresh fruit smoothies. For a quirky, colorful and fun donut adventure, you must add Glam Doll Donuts to your list! 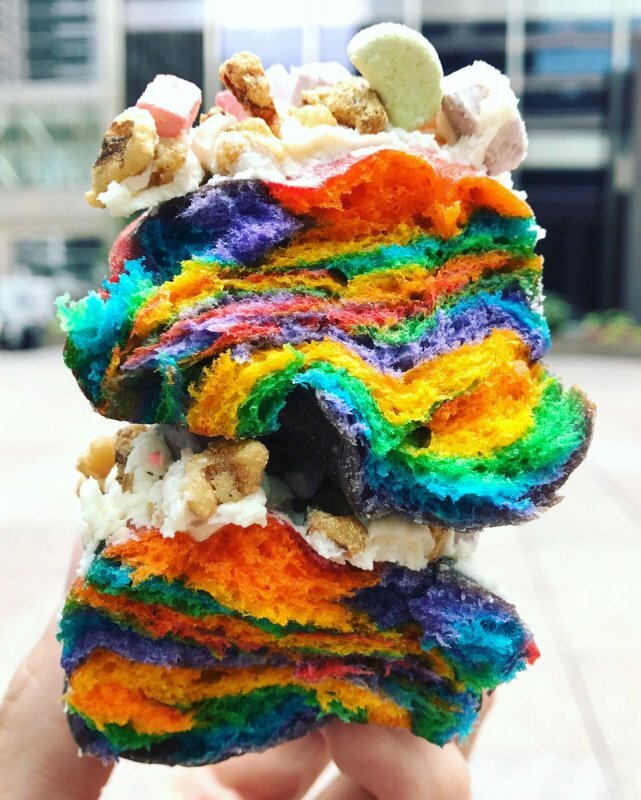 According to the shop itself, “Glam Doll Donuts is more than your favorite donut shop – it’s your happy place, where every donut is a tasty work of art!” With two Minneapolis locations, you can’t miss out on the unique flavors and equally unique and fun names! Choose from crumbly cake donuts like the Vanilla and Chocolate Darlings, or go for a gooey filled donut like Cloud Nine, with a dark chocolate bourbon filling and chocolate fudge brownie icing; or Femme Fatale, with a fresh raspberry curd filling and vanilla icing. There’s no denying the delightful fluffiness of Glam Doll’s raised donuts like Misfit, with orange, ginger and cinnamon infused glaze; Showgirl, a long john with maple buttercream and caramelized bacon; and Calendar Girl with salted caramel and chocolate. And you can’t go wrong with the fabulous fritters and crullers! Choose from Pinup Girl, a bourbon infused apple fritter available with or without bacon; Pucker Up, a cruller with lemon cream cheese and vanilla lemon drizzle; and Flirty Frenchie, a cruller with espresso cream cheese and chocolate icing. Doughn’t Miss! Glam Doll offers a full vegan menu, including many of the classics like Chocolate and Vanilla Darling, Chocolate and Vanilla Starlet and Misfit, plus Cosmopolitan Girl, the classic chocolate and peanut butter combo! 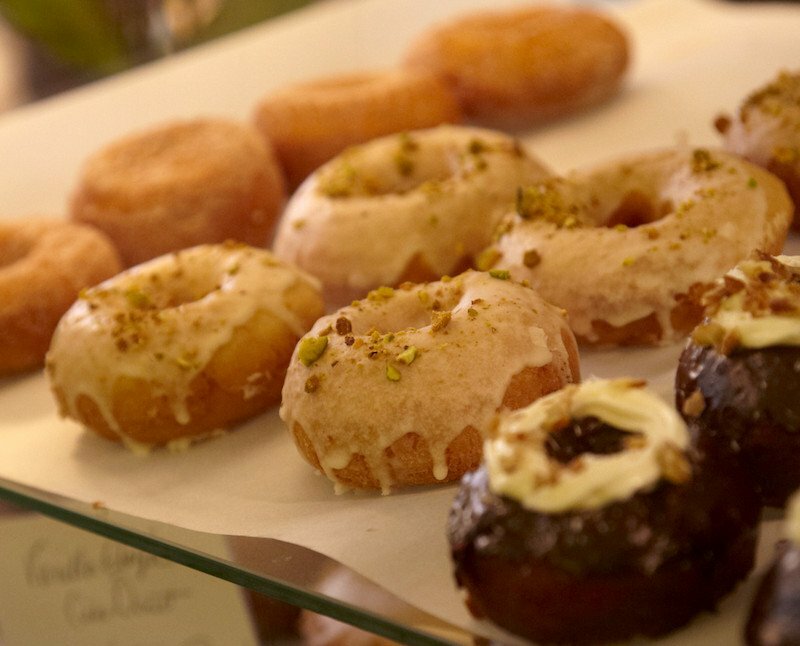 Can a donut shop truly be both healthy and indulgent? Cardigan Donuts is leading the charge with its unique hybrid menu of donuts along with fresh Greek yogurt and oatmeal bowls. At Cardigan, you can enjoy the essentials made fresh like the raised glazed ring, raised bar, old fashioned, vanilla cake and French Cruller. If you’re feeling a little more adventurous, take your pick from the lineup of premium donuts like the jam filled Bismarck available with a variety of housemade fruit fillings and icings; the Boston Cream Bismarck; or the Bourbon Apple Fritter. Our favorites include the Churro Roll, a cinnamon bun-sized roll coated in cinnamon sugar and served with dipping sauce; and the Vanilla Caramel Coconut Bar, a long john donut filled with rich coconut cream, dipped in caramel icing and sprinkled with candied coconut. Even if you choose one of its healthier options like the yogurt and oatmeal bowls, you can enjoy plenty of sweet toppings like berries, caramel, chocolate, granola and more, plus each bowl comes with a cinnamon sugar donut hole! Bonus Tip: Sign up for a chance to help craft the future menu of Cardigan Donuts on its website with The Donut Lab. If you’ve tried a few of these donut or pastry shops in one day, you might just want a small bite of sweet flavor. Sleepy V’s is the place to go, if you’re looking to sample a variety of creations with its one-of-a-kind flavors of a-few-bites-sized mini donuts, as well as full-sized donuts. The donut shop captures the classic crunch cone ice cream treat in its Crunch Cone donut, made with housemade vanilla icing, waffle cones, peanuts, English toffee and sprinkles! Some other notable flavors include Raspberry Choco, made with raspberry icing, triple rich chocolate drizzle and dark chocolate curls; Boxy Brown, a square Bismarck filled with its rich brown-butter cream filling and rolled in toasted sugar; and Raspberry Cream, made with raspberry icing and cream cheese filling and topped with a mini donut-honey-nut streusel. Sleepy V’s also throws in a little pop culture fun with its two The Simpsons-themed treats: Homer, made with pineapple-hibiscus icing and sprinkles; and Bart, made with rich chocolate icing and Butterfinger crumbles! For a true masterpiece, indulge in The Dream, made with espresso infused chocolate icing, salted caramel drizzle and ground espresso, all on top of its perfectly leavened yeast raised dough. More Dough: Don’t miss Sleepy V’s specials, including $20 two dozen mini donuts on Tuesdays, BOGO filled donuts on Wednesdays, $10 donut packs on Thursdays and Fritter Friday! 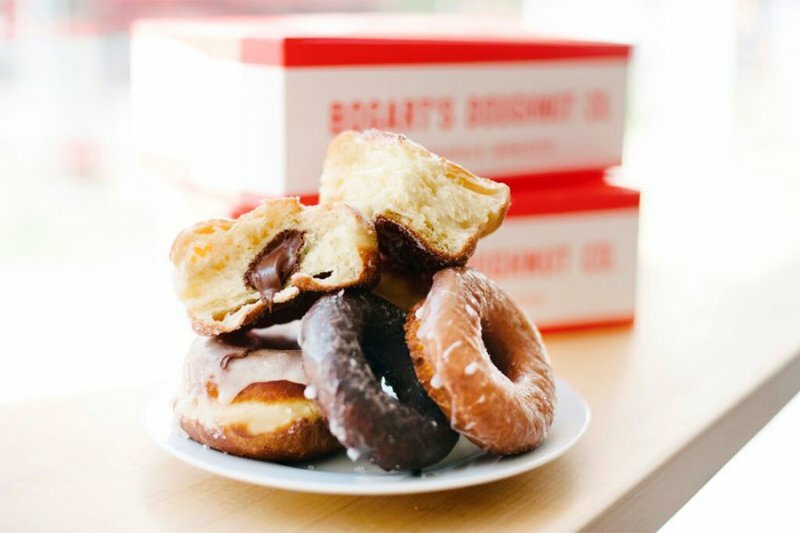 For simple, fresh and delicious doughnuts, look no further than Bogart’s Doughnut Co. with two convenient locations in Uptown and Downtown Minneapolis. While its menu is small, the flavors are not. Bogart’s uses local, seasonal ingredients when possible and are always adding new flavors. As soon as you enter the shop, take a look at its specials, which are constantly changing. From the Tiramisu Cake Doughnut (made with steeped coffee, covered in mascarpone-cocoa glaze and topped with crumbled ladyfinger cookies) to the Dark Chocolate Ganache and from Lemon Poppy Seed Cake (filled with lemon zest and poppy seeds and covered in vanilla bean glaze) to Cold Press Cake (filled with cold press coffee grounds and espresso and covered in vanilla bean glaze), there’s always a couple delectable specials! On the regular menu, choose from classics like the Raised Glazed, Chocolate Cake and Sprinkled Cake, or try a unique take on a classic like Brown Butter-Glazed (made with a one-of-a-kind glaze sprinkled with little bits of browned butter), or Lavender Cake (made with tiny bits of dried lavender). Donut Cha’ Know? Does your office deserve some treats? Visit Bogart’s website and nominate your office to get free doughnuts. On the first Friday of every month, its team will surprise one local business with its signature doughnuts! The early bird gets the worm at Mojo Monkey Donuts, a pastry shop known for its endless varieties of donuts and unique flavors, but to experience the full selection, the earlier you get there, the better. And these treats sell out fast for a reason! Choose from cake, raised, cruller, fritter, bars, twists, Bismarck’s, Danishes, donut holes, beignets and more! Do you miss having Oreo dirt cup treats as a kid? Try Mojo’s chocolate ganache with crumbles raised donut, coated with chocolate frosting, Oreo crumbles and M&M’s. Or embrace your love of junk food with the raised donut with root beer icing with Oreos and Reese’s Pieces. For something fruity, try the mango glaze with organic coconut. Don’t miss the Banana Pecan Fritter with Caramel Glaze. If Bismarck’s are your jam, try the Peanut Butter and Jelly, or indulge in the S’mores topped with a toasted marshmallow, graham cracker, and plenty of chocolate icing! In the mood for cozy spices and flavors? Grab some of the donut holes in pumpkin, pumpkin eggnog and chai. We highly recommend enjoying the New Orleans classic, Beignets, too! Continue your cozy adventure with our coffee & tea tour and our guide to embracing the hygge trend. 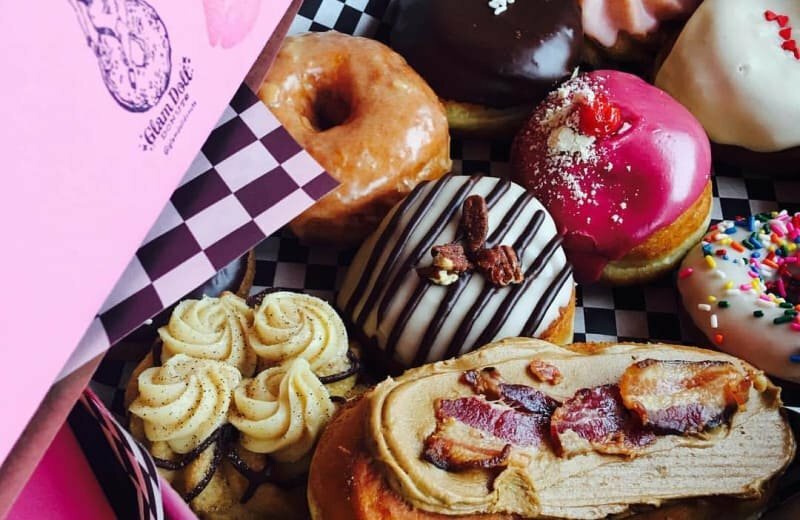 Share your Instagram-able pics of your fave donuts in Minneapolis Northwest by commenting on our Facebook, Twitter or Instagram pages using #WeLoveMNW and you could be featured on our website. If you're looking for a top tier recommendation for your next meeting, event or group outing, look no further than Topgolf.